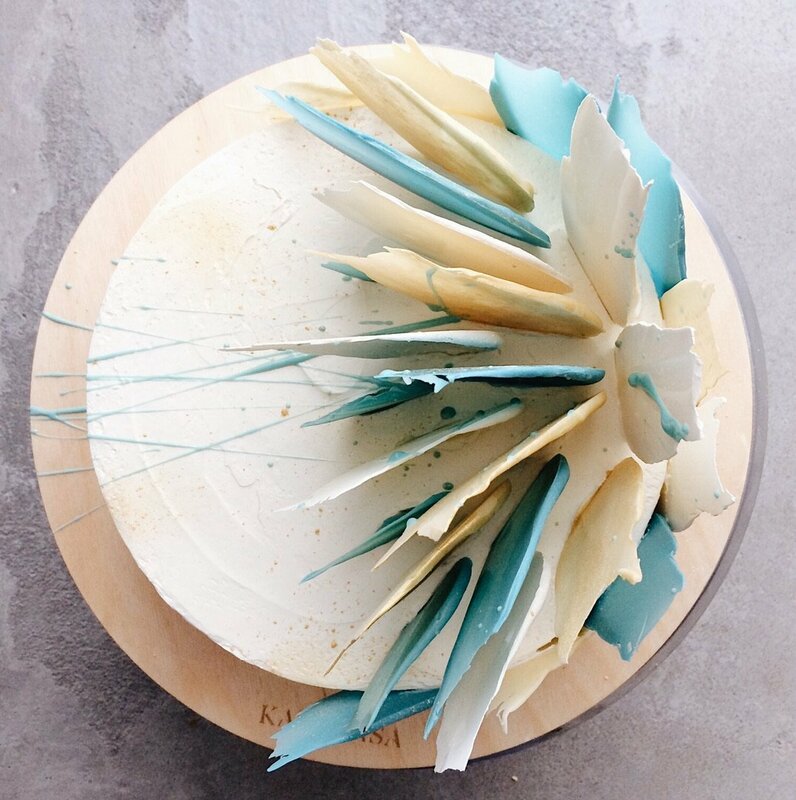 Some cakes are just cakes. You eat them and that’s it. But some of them are true masterpieces and you find pleasure by simply looking at them. 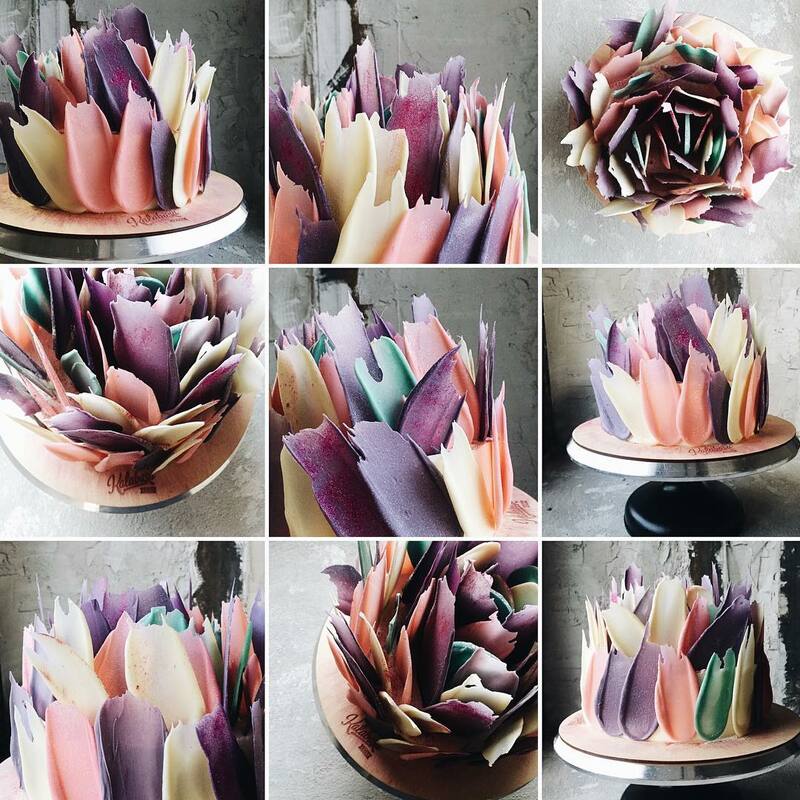 Kalabasa bakery from Moskow, Russia, uses Instagram as their platform to show off their unique creations – cakes, decorated with chocolate brush strokes. 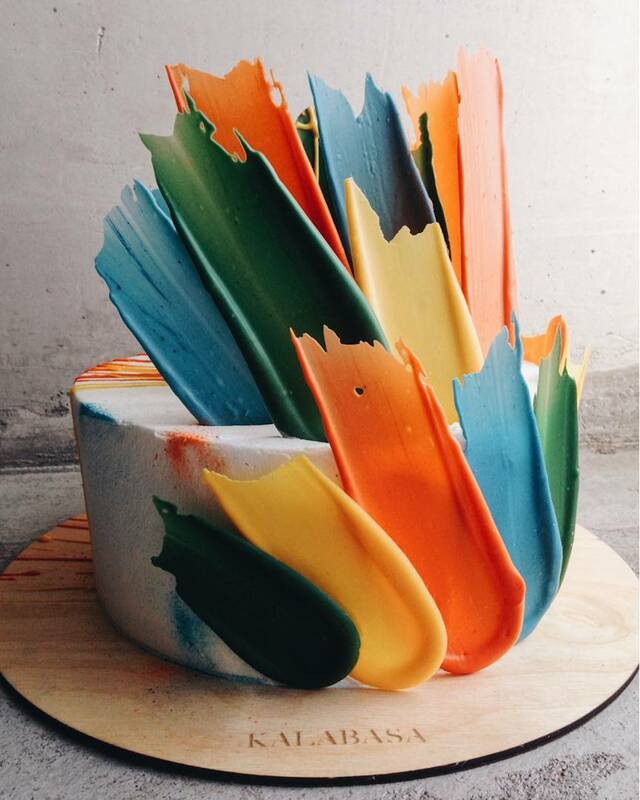 Front the cake is decorated with colorful “painted chocolate feathers” (as the bakers at Kalabasa call them) and the rest of it is finished with chocolate splatters and airbrushing. 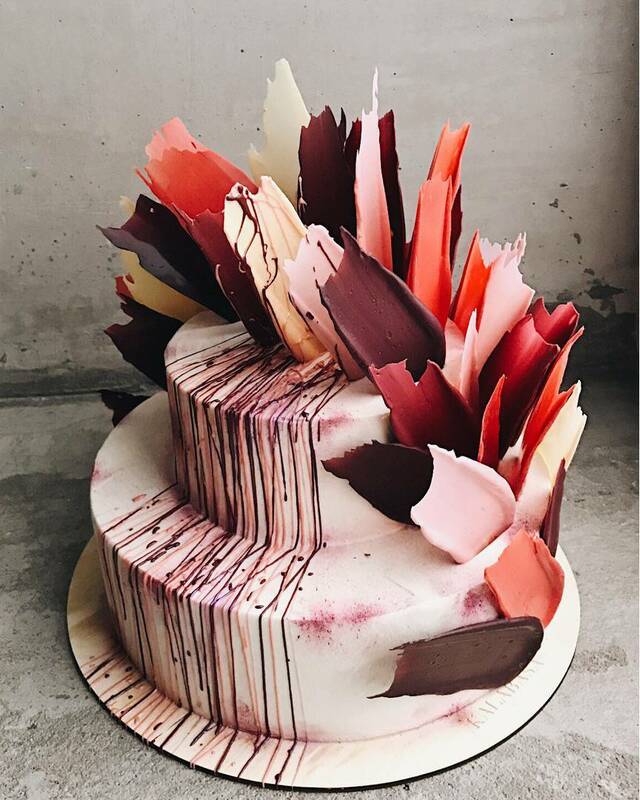 Bakers sometimes add fruit, berries, and flowers to compliment the artistic look of the chocolate brushstrokes. 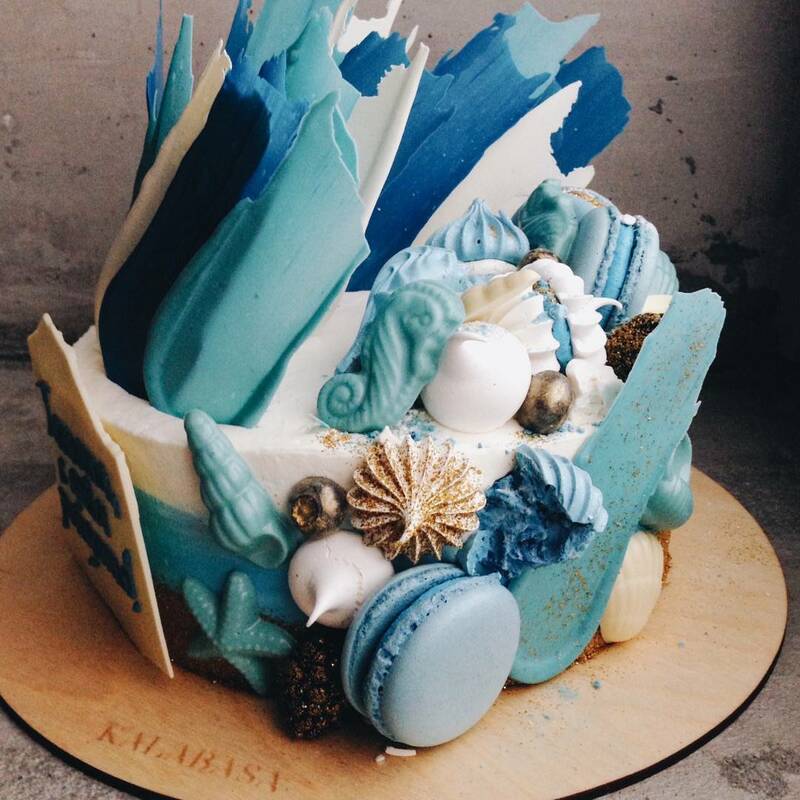 Kalabasa creates baked goods in various color schemes, so these cakes can become the main centerpiece of both, loud birthday parties and pastel weddings.